The Chinese Academy of Sciences will enhance science cooperation and services to support countries and regions participating in the Belt and Road Initiative in global common issues, officials said on Monday. Measures will include expanding joint research and consultation services related to major scientific challenges, such as tackling climate change, natural disasters, health and other issues, Bai Chunli, the academy's president, said at a news conference on the sidelines of the First General Assembly of the Alliance of International Science Organizations, which concluded on Monday. Other measures include new projects that use science and technology to solve key social issues, such as food and water security, Bai said, adding that tech companies in places involved in the BRI will also see greater collaboration from China, and new scholarships and reward programs will be established to nurture talent. The alliance, officially launched on Sunday, was initiated by the CAS, Bai said. 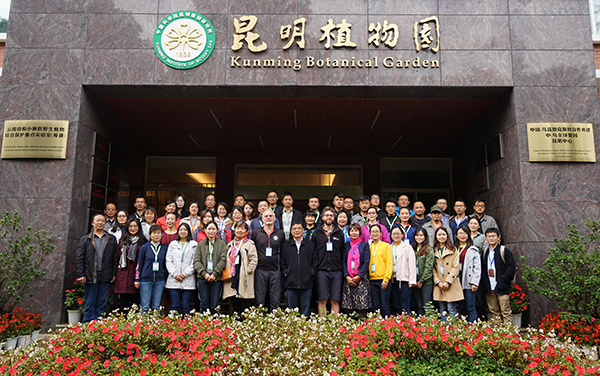 It is the first comprehensive science organization launched by scientific institutions from countries involved in the BRI with cooperation from other international organizations. Around 37 research institutes and international organizations are part of the alliance. The United Nations Educational, Scientific and Cultural Organization, and the Third World Academy of Sciences are also part of the union. "Science cooperation is a key component of the BRI, and the academy has played a vital role in deepening such cooperation with countries involved in the initiative," Bai said. Since 2013, the science academy has built nine overseas research and education centers in Africa, Central Asia, Southeast Asia and Latin America, Bai said. It is involved in more than 100 research projects and has trained more than 5,000 high-quality scientists for BRI countries, he added. Some examples of fruitful science cooperation include Chinese scientists partnering with peers from Pakistan and Sri Lanka to improve their natural disaster response and mitigation capabilities. "It is a win-win situation," he said. The new alliance will amplify cooperation efforts and focus on tackling common issues faced by member countries while enhancing coordination in scientific and innovation-related policies and development strategies, Bai said. Jointly conducting major scientific projects, facilitating the sharing of resources, data and innovation capabilities, and nurturing new talent are also goals of the alliance, he added. Alexander Sergeev, president of the Russian Academy of Sciences, said the CAS has become one of the strongest research institutions in the world, noting that the two academies have had a long history of fruitful science cooperation. "We appreciate the leadership shown by the CAS in building the alliance, and we hope our governments will continue their support," he said. Robert Wahiti Gituru, professor of Jomo Kenyatta University of Agriculture and Technology in Kenya, said the alliance will enhance scientific cooperation in Kenya. He added that Chinese scientists are already helping Kenya protect and conserve its biodiversity, including cataloging its plants. "China is supporting us where it matters most, because Kenya's economy is dependent on ecotourism and we need to protect our biodiversity to draw tourists in," he said.